A deposit is required on group bookings and whole lodge bookings the deposit is non refundable if you cancel your booking or do not show up. 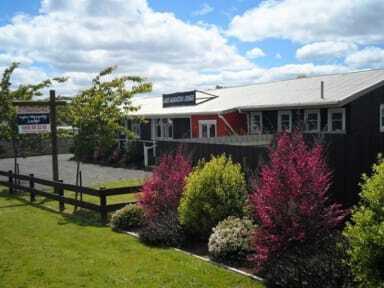 Situated in the heart of the North Island, Mangakino borders the western shores of Lake Maraetai on the Waikato River. Lake Maraetai Lodge is set in a quiet street with views across the village to the lake, and a forest backdrop. The Lodge offers guests a fully equipped kitchen, BBQ, laundry facilities, WiFi internet, and a large outside covered deck area looking out over the garden and down to the lake. Each room comes with bed linen, heaters and electric blankets (except the dorm room which does not have electric blankets). 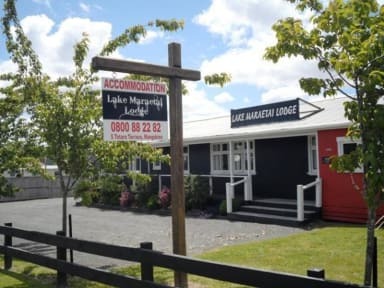 You can also completely hire out Lake Maraetai Lodge whether you are celebrating a birthday, anniversary, having a general get together with family or friends or just are a social group, we offer you the perfect place to have your celebration. With a large covered outdoor deck area that can be set up for a party you can really let your hair down in the evening if you want to. Mangakino and Whakamaru are surrounded by beautiful scenic lakes as a result of the Hydro Dams which themselves are spectacular structures to see. The towns are also surrounded by forest and farmland. On the lake you can do a range of watersports including wakeboarding, waterskiing, kayaking, or you can go fishing or climbing. The Waikato river trails are also great to walk and cycle along. Mangakino really is the perfect all-round destination for those who seek peace and tranquillity or outdoor adventures. We know backpackers, tourists, families and NZ travellers will find plenty to do and see in this region.